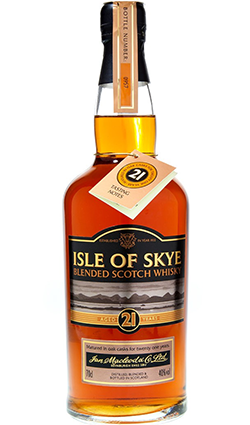 Full-bodied and packed with honey’d malt, brown sugar, banana chip and elegant peat smoke notes, the 21 Year Old Isle of Skye blended Scotch whisky from Ian Macleod makes a very good impression indeed. 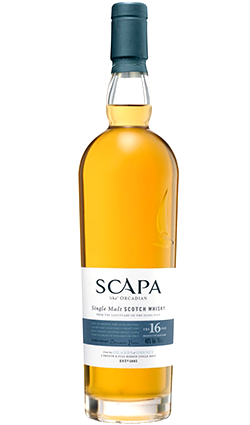 If you’re a fan of the range, which features an 8 Year Old, 12 Year Old, 18 Year Old, and the classic Smokehead 18, this one ought to be in your drinks cupboard. 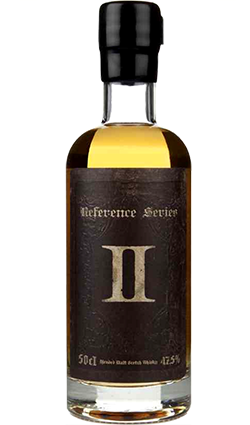 Full-bodied and packed with honey’d malt, brown sugar, banana chip and elegant peat smoke notes, the 21 Year Old Isle of Skye blended Scotch whisky from Ian Macleod makes a very good impression indeed. 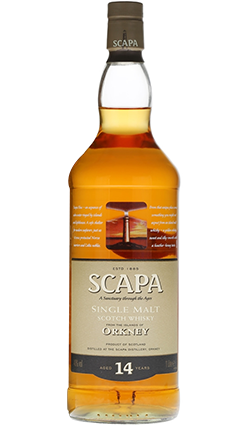 If you’re a fan of the range, which features an 8 Year Old, 12 Year Old, 18 Year Old and the classic Smokehead 18, this one ought to be in your drinks cupboard. The stuff of dreams. Jim Murray, Classic Blended Scotch. Nose: Sweet vanilla biscuits and banana. Palate: Very smooth, pepper and violet with slight smoke. Finish: Gentle peat smoke lingers.